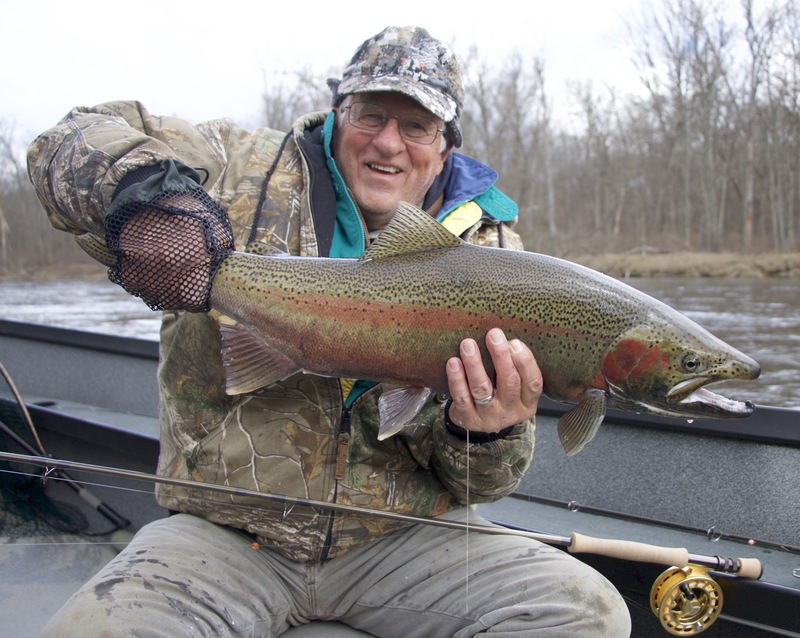 When Jack contacted me last fall to purchase a gift certificate for his son Kirk’s Christmas present, given the fact that Kirk had expressed a desire to try fly fishing, I was happy to oblige. Well, today was the day the gift was truly opened! 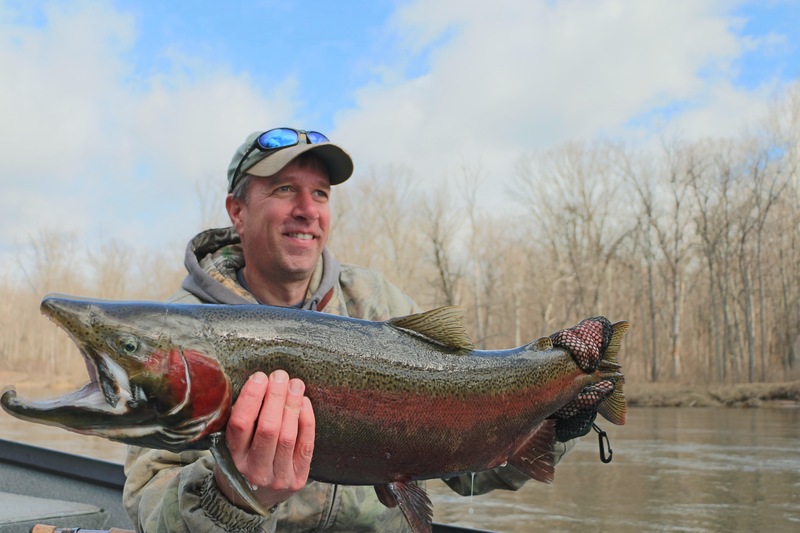 A major push of steelhead provided nearly nonstop action throughout the day with tired arms, huge smiles, stories to tell, and pictures and videos galore to share. In short, it was an epic day of steelheading on Michigan’s Muskegon River. No surprise, then, that in just one day, Kirk’s interest in fly fishing morphed into near addiction with plans made to learn more and his offering to share the waters he spinfishes for smallmouth bass with me, provided I show him how to bass bug. Twist my arm, maybe? Can’t wait to reconnect with Jack and Kirk again on the river. And, oh, did I mention that Jack and Kirk are passionate whitetail chasers as am I? In short, a day I (and I hope, they!} will long remember. Here Dad Jack and Son Kirk pose bucks from today.